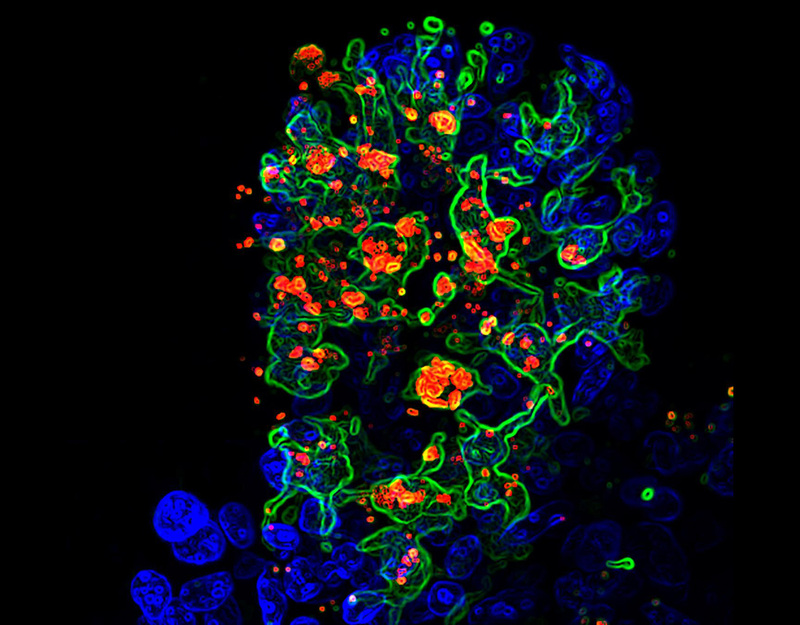 Weill Cornell Medicine researchers have found that immune cells that process food and bacterial antigens in the intestines control the intestinal population of fungi. Defects in the fungus-fighting abilities of these cells may contribute to some cases of Crohn's disease and other forms of inflammatory bowel disease (IBD), note the scientists. The study (“CX3CR1+ Mononuclear Phagocytes Control Immunity to Intestinal Fungi”), published in Science, shows a strong connection between fungi, immunity, and intestinal inflammation and suggest a new, targeted treatment strategy for IBD, adds the research team. “Intestinal fungi are an important component of the microbiota, and recent studies have unveiled their potential in modulating host immune homeostasis and inflammatory disease. Nonetheless, the mechanisms governing immunity to gut fungal communities (mycobiota) remain unknown. We identified CX3CR1+ mononuclear phagocytes (MNPs) as being essential for the initiation of innate and adaptive immune responses to intestinal fungi. CX3CR1+ MNPs express antifungal receptors and activate antifungal responses in a Syk-dependent manner,” write the scientists. “After discovering that fungi might be involved in the pathology of IBD, one of the big questions in the field has been how to identify patients who would benefit from antifungal co-therapy, and our finding suggests a way to do that,” said senior author Iliyan Iliev, Ph.D., an assistant professor of microbiology and immunology in medicine at Weill Cornell Medicine and a scientist at the Jill Roberts Institute for Research in Inflammatory Bowel Disease. Most of the work on the gut microbiome has focused on bacteria, but Dr. Iliev's research has a particular emphasis on gut fungi. “Fungal DNA is hard to access and analyze using standard molecular biology techniques, but we have recently developed much better tools for doing so, and have now taken this further by visualizing fungal–host interactions in the gut,” Dr. Iliev said. Using molecular tools, he and his colleagues conducted a study, published in Science in 2012, which showed that a large population of fungal cells—called a mycobiome—lives in the gut and likely plays a role in IBD. How the immune system normally regulates the gut fungal population and protects from the expansion of harmful fungi has been unclear. In the new study, Dr. Iliev and his colleagues largely answered that question by identifying a type of the CX3CR1+ mononuclear phagocyte as the immune system's major gut fungal regulator. “We were surprised how well-equipped those cells were for dealing with fungi,” said Irina Leonardi, Ph.D., a postdoctoral fellow and a lead author of the study. Phagocytes engulf and digest other cells, and often display fragments of their prey to other elements of the immune system to prompt a broader immune response, according to Dr. Iliev. CX3CR1+ phagocytes dwell in the gut lining and were already known to defend the gut by engulfing bacterial cells and even food-derived plant and animal cells. “Our findings show that these CX3CR1+ cells are also essential for the initiation of immune responses to gut fungi and regulate the composition of the gut mycobiome,” Dr. Iliev said. A type of antifungal antibody, called ASCA, is widely used as a diagnostic marker since it is highly elevated in the blood of patients with several chronic diseases, including Crohn's. “Our study sheds light on the mechanisms leading to ASCA generation,” noted Dr. Leonardi. The team's findings suggest that patients who have the CX3CR1 gene variant might be misdiagnosed since they are negative for ASCA. These individuals might additionally have impaired gut antifungal response that would allow fungal overgrowth and worsened colitis. “Having this gene variant and low ASCA titers could be a good indicator that a Crohn's disease patient might benefit from antifungal therapy,” said Dr. Iliev.